Happy holidays to all! 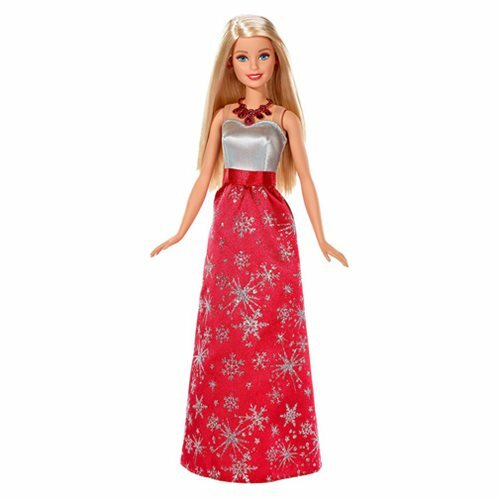 Barbie is all dressed up in a gorgeous gown, ready to celebrate the holiday season. Her floor-length dress shimmers with a silvery bodice and a long red skirt with a glittery snowflake print. The statement necklace is eye-catching with hanging red "jewels," and red earrings and matching shoes are festive holiday touches. Doll cannot stand alone. Colors and decorations may vary. Ages 3 and up.